Wharton Texas, and Wharton Hotels. 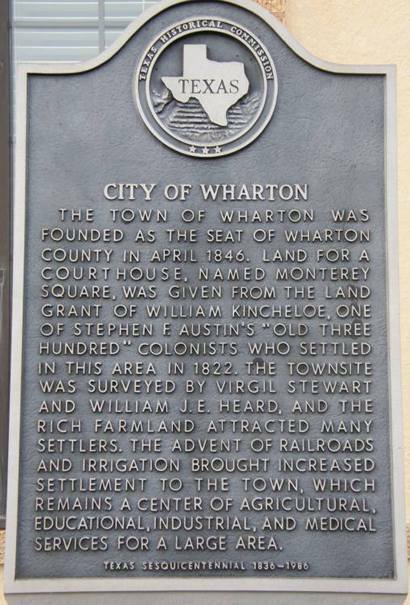 The town of Wharton was founded as the seat of Wharton County in April 1846. 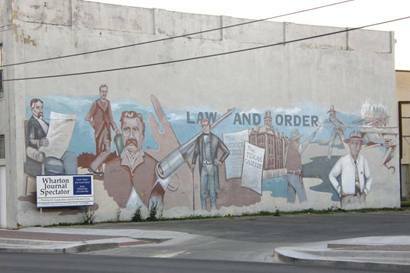 Land for a courthouse, named Monterey Square, was given from the land grant of William Kincheloe, one of Stephen F. Austin's "Old Three Hundred" colonists who settled in this area in 1822. The townsite was surveyed by Virgel Stewart and William J. E. Heard, and the rich farmland attracted many settlers. 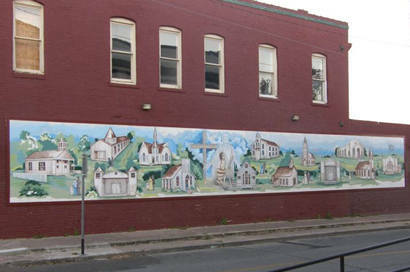 The advent of railroads and irrigation brought increased settlement to the town, which remains a center of agricultural, educational, industrial, and medical services for a large area. 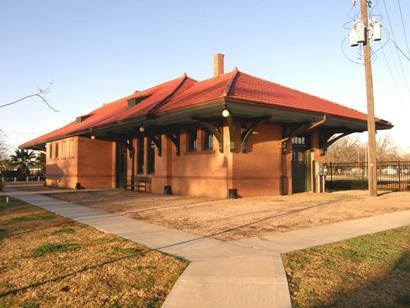 Railroads � "The cottonseed train arrives at the Wharton depot. 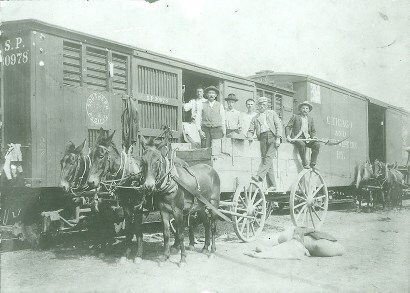 Mule wagons unload their wares in the late summer days following the cotton harvest and ginning. 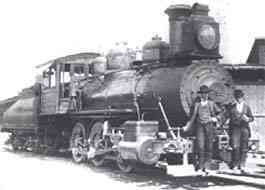 Millions of dollars came to Wharton for cotton in the latter part of the 1800抯." Only one county from Houston and one county from the coast, Wharton is in a somewhat enviable position. As Houston extends into Ft. Bend County, Wharton has time to study the changes from a safe distance. Its inland location has and continues to provide fertile land for a variety of crops and grazing land for cattle. 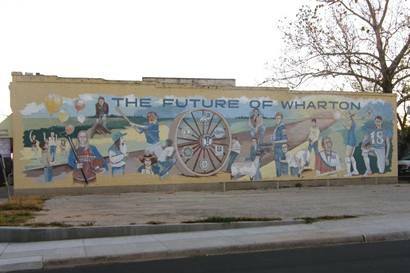 We at TE are sold on Wharton's attitude on preservation and its extraordinary potential. They still have all of the important elements (courthouse, depot, jail, theater) a town needs, along with the Colorado River complete with park, restaurant, and bridge. 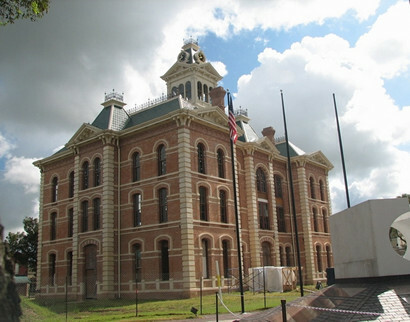 The Wharton County Historical Museum: Located at 3615 Richmond Road. 409-532-2600. Hours: 9:30 - 4:30 Tues. through Fri., and Sat. 1-4. 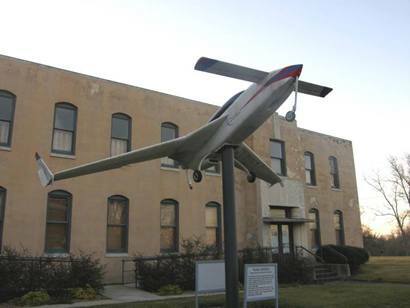 Knowledgeable staff and interesting exhibits covering all facets of Wharton County history. The 1930 Highway 59 bridge has recently been repainted a handsome green. It was chosen as the photo to accompany the introductory text in the LCRA 2000 Calendar. Just downstream is Riverfront Park and the large building in between is the soon-to-be-opened (January 2000) Los Cucos Restaurant. Antique shops in Wharton as well as nearby Glen Flora and Egypt. 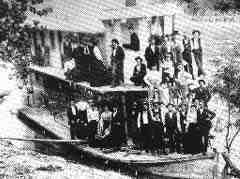 The Colorado River Band: Dr. Lowell Miller, formally of Houston, was instrumental in organizing this 100-member group which performs at City functions and events. A sub-group called The Brass Ensemble does weddings and funerals. 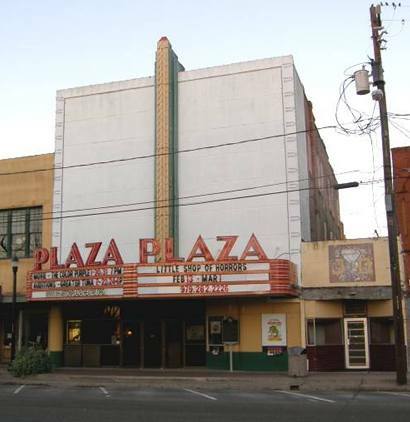 The Plaza Theater (on the square) has recently been restored to its former glory and now hosts live musical performances as well as theatrical productions. Glen Flora: Halfway to Egypt on FM 102 West, you'll find a cluster of antique shops and a restaurant. 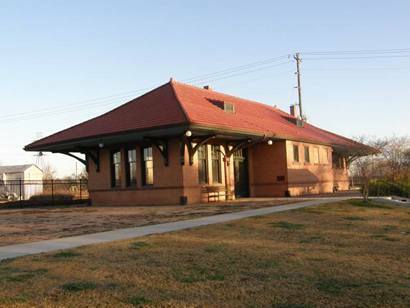 The rest of the town consists of comfortable yards and homes under huge pecan trees so regularly spaced that it must have been a pecan grove at one time. Egypt: Although it's not large, this picturesque village is reminiscent of the Pennsylvania Amish Country. A small cemetery, an empty silo and lots of barns, as well as the general store/barbecue outlet make this a place worth the 12 mile drive from Wharton. 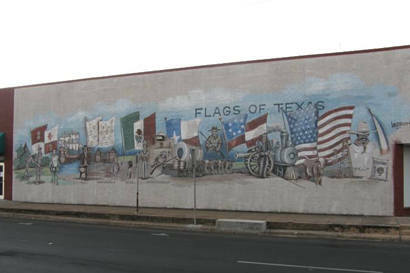 Columbus / Alleyton: Continue on FM 102 North another 28 miles to I-10 El Campo: Wharton County's "Second City" was named after the site where vaqueros would camp while cutting grass for their cattle. Many brick buildings surround the park where herds rested on their way to Northern Markets. 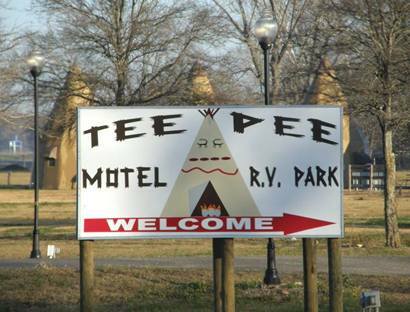 Just off Highway 59, 14 miles South of Wharton. Not all Whartonians became award-winning playwrights or network anchormen like Horton Foote and Dan Rather. Some were content being human cow-catchers. 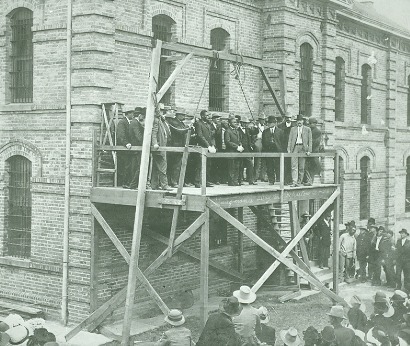 "Hangman抯 Day � In 1910 a crowd gathered around the scaffolding adjacent to the Wharton Jail for a hanging." 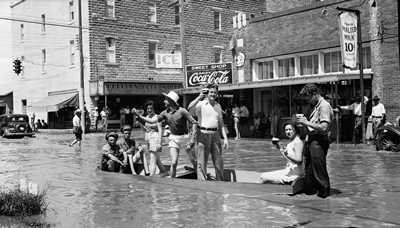 Photo courtesy Wharton County Historical Museum. Located in the beautiful brick Dr. T. M. Neal Building (circa 1912), the enthusiastic and efficient staff can provide you with brochures for dining, antiquing, and shopping as well as an excellent History pamphlet on the town, the county, and the Wharton Brothers.